Welcome to “Orto di Casa” or Small Italian House Garden. 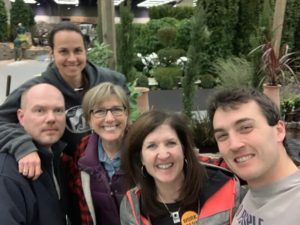 This year’s display garden theme is “Gardens of the World”, so we went to Italy for our inspiration. Additionally, we’re pleased to have been one of the first small gardens at the Flower & Garden Show this year. Most display gardens at the show are around 1,000 sq. ft. and this one is only 171 sq. ft.! 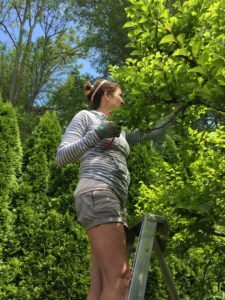 One of our objectives was to show how much outdoor living can be created in small spaces. 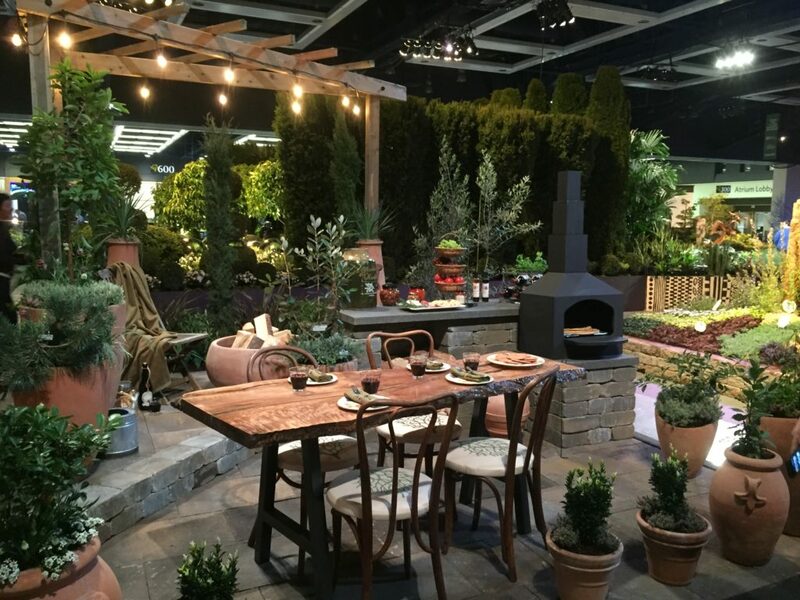 We created two seating areas; an upper level with two chairs around a firepit, and a lower level where you can whip up a pizza in this pint-size pizza oven and enjoy it on this gorgeous live-edge table we made ourselves! (see our previous blog to take a look at the raw piece of wood we found for it) The antique chairs we reupholstered with Italian botanical fabric and cozy up nicely to the table. 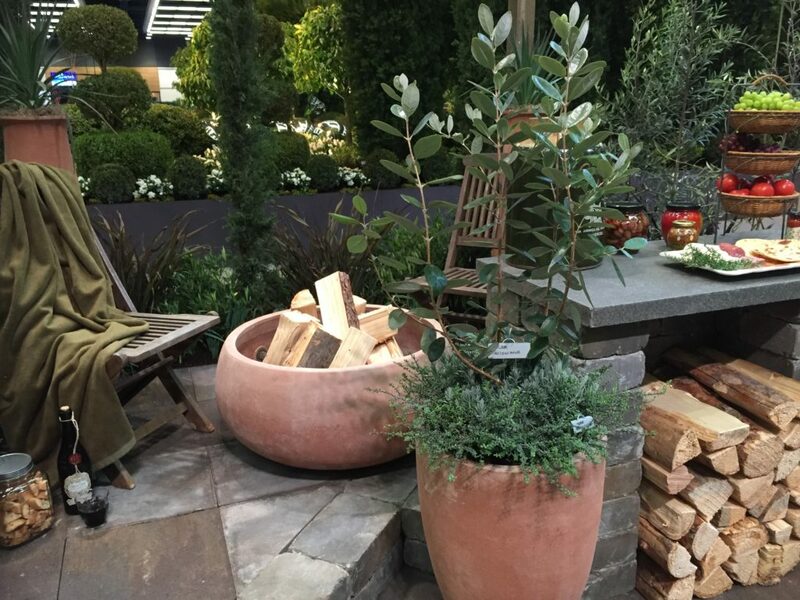 We partnered with Ragen & Associates for the fabulous Italian pottery you see in this garden. 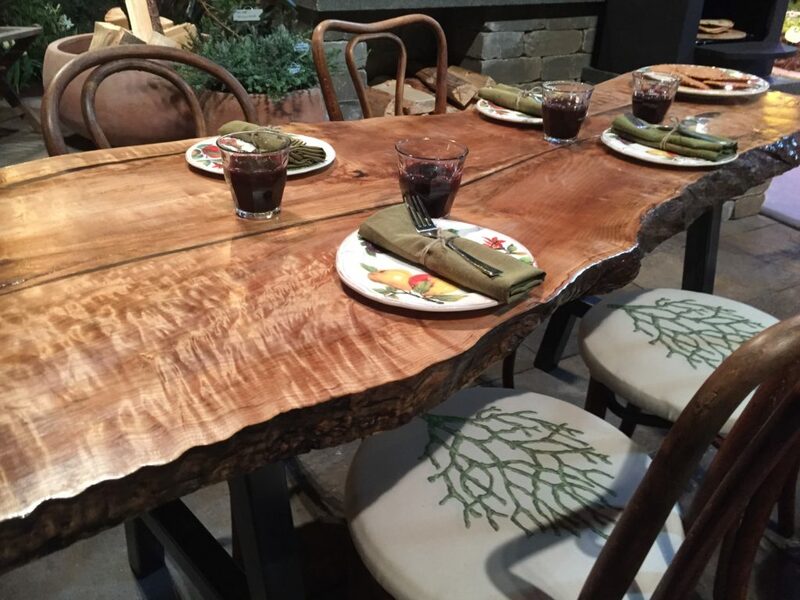 Our live-edge table and chairs. 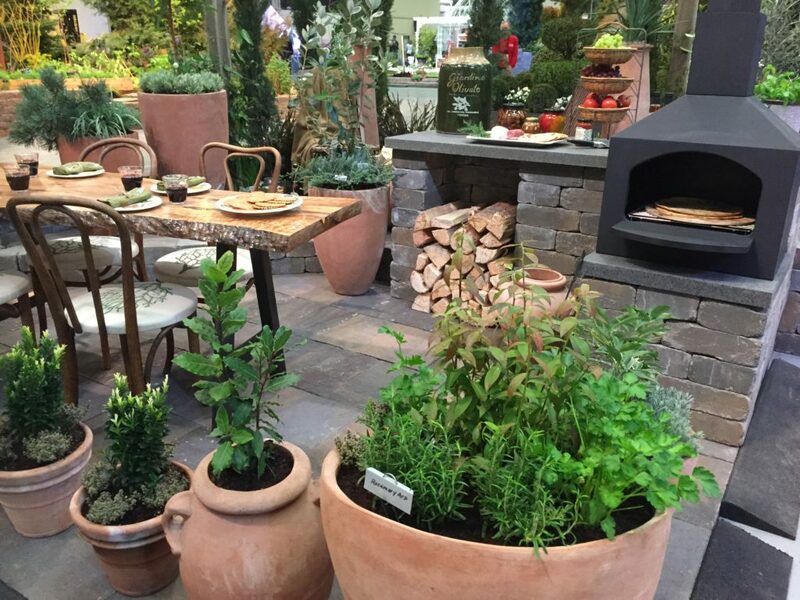 The pizza oven area is surrounded by containers filled with culinary herbs so you can easily grab what you need. Cooking area in the garden. 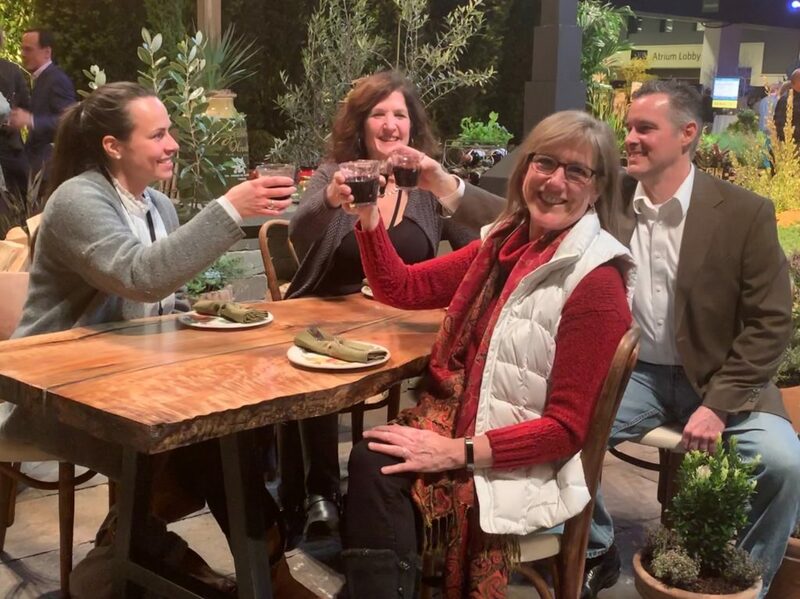 All finished – time for a toast with Dana, Zilly, and John Stout from Terra Firma who was an instrumental consultant with our hardscaping!